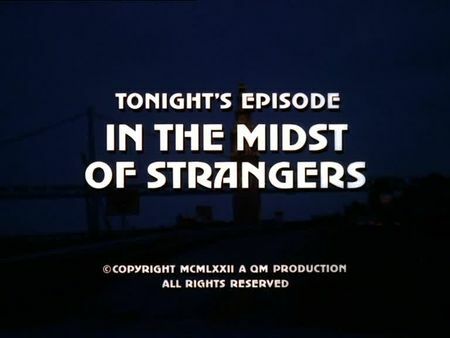 I just uploaded the screencaps for In The Midst of Strangers to the episodes' section. This one takes us to downtown San Francisco - around Union Square and inside the St. Francis Hotel, in particular, as well as into San Francisco City Hall and the actual office of the mayor - whereas the episode's showdown was filmed at famous Fort Point right below the Golden Gate Bridge. When a wealthy and well-respected city official is found murdered, the bureau of the Mayor orders Stone and Keller to take over with all available staff. While the Mayor's office is convinced it was a political assassination, Stone and Keller soon find some different hints when an old friend, Wally Sansibaugh, a corner newspaper seller on Union Square, loses all his lifetime savings in a robbery. Mike and Steve immediately realize certain parallels in both cases which lead them to a well-organized team of robbers. David Wayne performs lovely as the dedicated and sympathetic newspaper man here.